Part one of the home energy puzzle was Solar PV… the harvesting of clean abundant Solar power to generate electricity (Find out more). 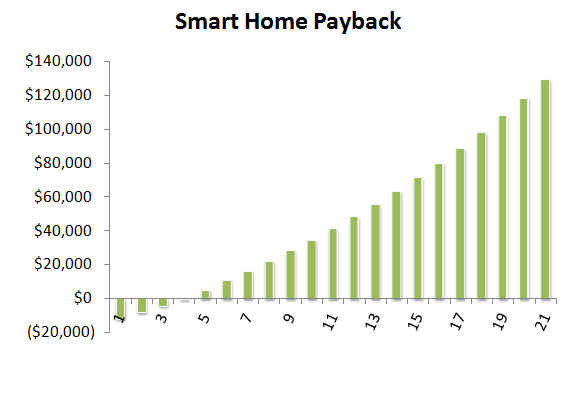 Part three is the Smart Home, which in our opinion will be the key to optimizing all these new power technologies. As Solar starts to gain widespread acceptance, it can hammer the grid. The same for EV’s. It’s only when these significant power components are orchestrated properly, do they shift from a grid liability to a grid asset. 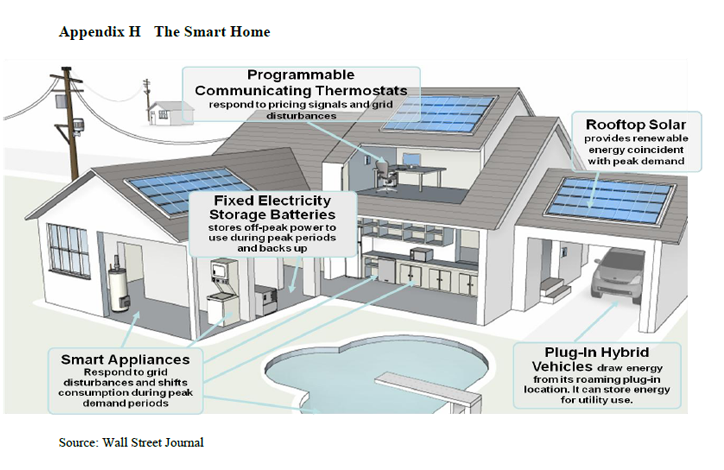 Although this Smart Home graphic is a complete configuration, we will highlight only those components pertinent to our discussion… Smart Home components including Nest, Geli, CES smart panel, LiIon batteries, etc. Discussion of the Smart Home economics including local storage and ability to participate in grid services. Not much incentive other than local storage and energy star deductions. Need detail of grid support economics.